Following Anthony Joshua’s explosive knockout of Alexander Povetkin at Wembley Stadium last month, attention has turned to the heavyweight star’s next bout in April with speculation rife about Joshua’s next opponent. The unified WBA, WBO and IBF heavyweight champion will again fight under Wembley’s famous arch on April 19th, but the man who will stand across the ring from Joshua is yet to be confirmed. A long-awaited clash with WBC champion Deontay Wilder is most desired, though Wilder will put his gold on the line in December against Britain’s other unbeaten heavyweight giant, Tyson Fury. Should Joshua take on the Wilder-Fury winner, the bout will crown an undisputed heavyweight champion for the first time since Lennox Lewis in 1999. With the egos involved in that scenario not conducive for fight negotiations however, there’s a likelihood that Joshua will be lining up against someone else next spring. Joshua’s promoter and head of Matchroom Boxing Eddie Hearn has already publicly suggested a second bout with Dillian Whyte may be in the offing, but Whyte looks set to have his own December test in a rematch with Dereck Chisora. The spot remains well and truly up for grabs therefore and with plenty of time between now and April a number of leading heavyweight contenders have their eyes on scooping the Joshua lottery. One of those heavyweights, is Jarrell ‘Big Baby’ Miller. The unbeaten 30-year-old from Brooklyn is in action this weekend against Polish veteran Tomasz Adamek and is expected to make short work of his 41-year-old foe and, in the process, be named the number one contender to the WBA’s ‘regular’ title. That’s not the WBA crown that Joshua holds of course – boxing’s belt situation being as fragmented and confusing as it is – but what is effectively the WBA’s secondary belt. Should Miller come through that bout, he would then be the mandatory challenger for Joshua’s WBA ‘super’ title. Fres Oquendo currently waits in line for the winner of Miller-Adamek but the bout between Oquendo and Miller could be made before the end of this year, allowing ‘Big Baby’ time to position himself as a player in the Joshua sweepstakes. The brash New Yorker is also promoted by Hearn, with his fight against Adamek being aired in the States on DAZN as part of Hearn’s new venture with the streaming giant. The build-up to a fight between Joshua and Miller would certainly be entertaining, and the two clashed at Hearn’s DAZN launch in New York back in July, having to be separated by the promoter on stage. 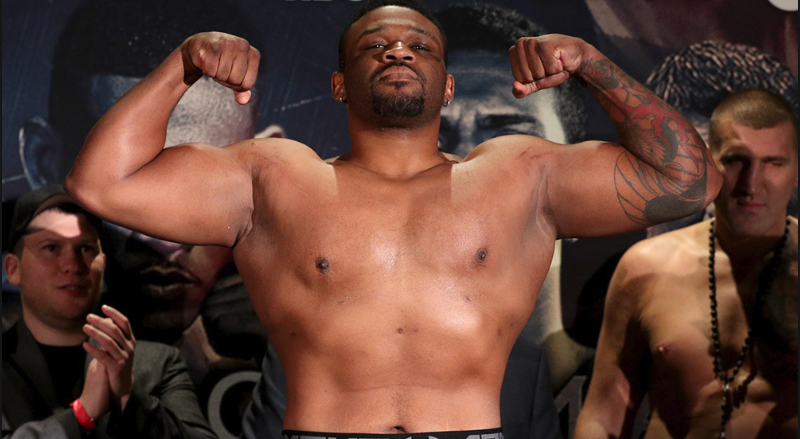 With previous beef to stir the interest and the fact that the fight would be an all Matchroom/DAZN in-house affair, I'd look towards Jarrell Miller to be a leading candidate for Joshua's April date and he should certainly be shorter odds than the 12-1 currently being offered by Sky Bet. Put those odds into a Lucky 15 Calculator and you could be looking at some heavyweight winnings.